Home / Retail / What is Dell doing to help resellers sell more? What is Dell doing to help resellers sell more? 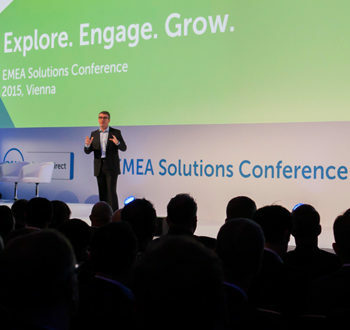 It was a bold start to Dell’s 2015 EMEA PartnerDirect Solutions Conference, with Aongus Hegarty, Dell’s EMEA president, throwing out some impressive numbers. It may not have always been the case, but it was clear from within the first few minutes that Dell highly values its reseller partners – and wants to work with more. 500 partners gathered for the conference, where Dell executives touched upon its core three areas of focus, ‘Explore, Engage and Grow’, throughout the day. While Dell’s recent announcement to acquire cloud computing and data storage giant EMC (which owns virtualisation platform VMware) wasn’t mentioned much at the show, Claire Vyvyan, VP of Dell’s EMEA enterprise solutions group, did hint at how it will make Dell stronger. She also said that the channel is “critical” to Dell’s business and that there is a massive growth opportunity for partners, emphasising the point that Dell wants to work even closely with partners to drive growth going forwards. Founder and CEO Michael Dell added: “Our industry has always been an ‘innovate or die’, ‘change or die’ business. And we’re obviously leaning very heavily into innovation in the combination of Dell, EMC and VMware. “Going private has been a great thing for our company. We’ve been able to focus 100 per cent on our customers, we continue to gain share in our server business and we’ve had record customer loyalty scores and record employee engagement. But servers, storage and cloud computing still isn’t for everyone, so what about Dell’s PC hardware and software business? 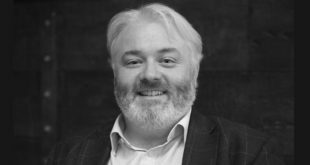 Patrick Dwyer, Dell’s VP of EMEA client solutions, revealed that Dell has a 17.8 per cent share of the commercial PC market in EMEA – its highest ever share in that market. He also said that Dell is number two in commercial Windows tablets, commercial desktops and monitors, and is number one in all-in-ones. Michael Dell also spoke highly of the vendor’s ambitions in that space (read our full interview with him here). “If you think about the four big pillars of IT of today – servers, storage, virtualisation and PCs – our new company will absolutely be a leader in all of those key parts of the IT of today,” he said. Claire Vyvyan added: “We intend to be number one [in the PC vendor space]. The industry split is into three vendors. We’re building primarily on the enterprise B2B tech sector, but clearly the B2C tech sector is much broader and there are more players there. Dell isn’t just talking the talk – it’s putting its money where its mouth is, and is making partnerships with some of the largest distributors in the market to reach more resellers. 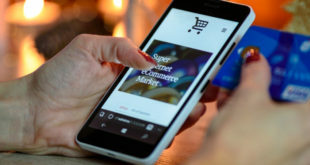 The firm has signed deals with the likes of Ingram Micro, Tech Data and Hammer to bring its products and services to resellers, and an agreement with Exertis is allowing retailers to get back on board too. “The reach into the UK marketplace is provided by hundreds of thousands of small partners who absolutely understand the customer and can support the customer, and then we provide the technology and the service to help them do that,” Claire Vyvyan told PCR. What about retailers, then? In the UK there is still a divide between PC retailers and larger resellers, but many stores are now selling to local businesses and are offering managed services. Is there a place for independent retailers to sell server, storage, cloud, networking and other services now more before? “When I think about the retailers, I think that’s very much a transactional sale – a customer needs something, they go, they shop, they buy, it’s that kind of environment,” Vyvyan added. “But that environment – if the retailer is smart – is very close to an as-a-service environment, because it’s a high-end transactional ‘I’ve got it, you buy it’ relationship, so there probably is a wonderful opportunity for them somewhere. Dell has also invested more than $125 million into its programs and incentives, as well as over $26 million in channel-specific IT improvements. Its partner programme – PartnerDirect – helps new and current resellers sell more, as well as gain access to sales, marketing, rebates and other benefits. There’s also a points-based rewards system where partners can redeem points against training, holidays and gifts. Andreas Schuetze, channel marketing and programs director at Dell EMEA, told PCR: “It’s a single source for everything a partner would need. 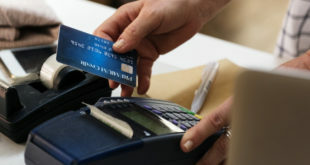 It offers free online training and links to the transactional sales side. We have an analytics tool to monitor the infrastructure environment of their end customers and provide them with ROI. Michael Dell concluded: “We’ve been at this for eight years now, and each year we’ve gained more growth and success with partners. We have the strongest and most stable channel programme in the entire IT world, and If you look at the combination of Dell, EMC and VMware, it may also be the largest. GATEWAY TO DELL: WHAT TO ORDER? Dell’s product portfolio is vast – so here’s our pick of products and services to stock. The first products from the Dell Datacenter Scalable Solutions (DSS) line of business have launched. These additions include the industry’s densest storage server, the Dell DSS 7000. Dell also announced the next wave of Dell XC Series of Web- scale Converged Appliances and Dell Storage Center 6.7 array software. A range of new Dell Data Protection offerings have also been launched, engineered with cloud recovery in mind. The new Dell SonicWALL 8.2 features an Hosted Email Security and Encryption service, which Dell says helps partners grow their revenues while minimising risk, overhead and ongoing costs. On the client side, multiple portfolios have been updated spanning the smaller/power efficient Dell OptiPlex range, as well as the Dell Precision and Dell Venue Pro product lines. Dell’s Chromebook 13 is also available now, supported by Dell’s manageability, security and desktop virtualisation solutions. Plus, Dell has expanded its Vostro portfolio with the Vostro 3000 Series desktop targeting SMEs, launched its PC gaming Alienware Steam Machine, and on the portable side, there’s the Dell XPS12, XPS13 and XPS15 laptops. Dell also showed off some of its Internet of Things gateway products at the event, which have been used for all manner of things including tracking worker bees.